Turn right onto Highway 19; continue for 6.8 miles. Turn right onto Palani Road. 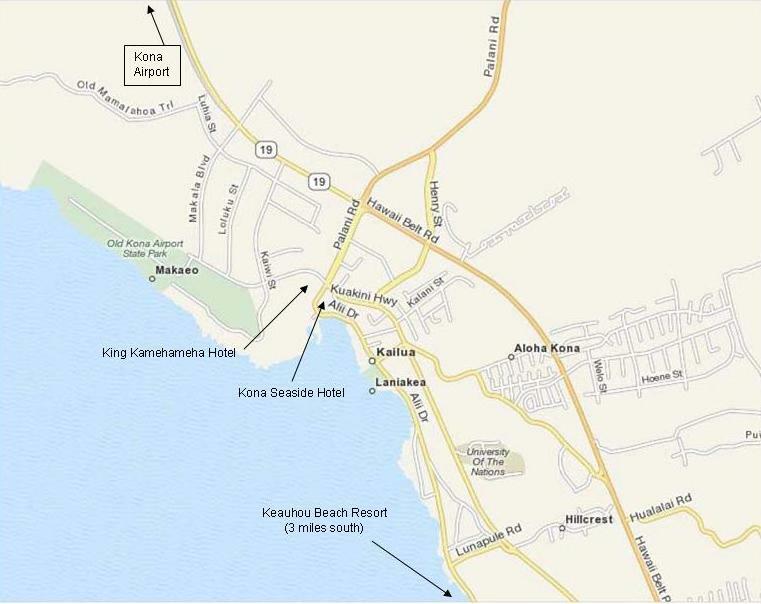 As you approach Ali'i Drive, the Kona Seaside Hotel will be on your left and the King Kamehameha Kona Beach Hotel will be ahead on your right. The Keauhou Beach Resort is 3 miles south on Ali'i Drive on the ocean side.